I seem to start most of these posts with promises of many treats, or potential treats, on the paperback horizon and May’s no exception with publishers not yet assuming that we’ve put our brains away in preparation for summer reading. At the top of May’s goodie list for me is Megan Hunter’s The End We Start From which appeared on both my books of 2017 list and my Women’s Prize for Fiction 2018 wish list. A mere 140 pages long – barely that given its fragmentary structure, some paragraphs no more than a sentence – it’s the story of a London submerged by flood from which our unnamed narrator, her husband and her newborn son flee for their lives. It’s a highly ambitious debut but Hunter carries it off beautifully – flashes of humour shine out, her use of language is captivating, the risky structure tackled with great confidence and it ends on a ringing note of much-needed optimism. Catherine Lacey’s The Answers is a caustic satire which takes a distinctly dystopian view of relationships, our obsession with celebrity and the seemingly inexorable march of technology into even our most private moments. It’s about a scientific study commissioned by movie star to investigate what makes us fall in love and stay that way. Desperate for money, Mary enrolls in The Girlfriend Experiment as Emotional Girlfriend alongside Angry Girlfriend, Maternal Girlfriend and Mundane Girlfriend, to name but a few. The ensuing shenanigans skewer the contemporary pursuit of the perfect partner in a novel which lives up to its Margaret Atwood puff. Technology comes in for a bashing in The Chalk Artist which sees Allegra Goodman contrasting the world of gaming with the older more established one of literature. Despite her antipathy to it, Nina prods Collin into a job in her father’s business which designed the game that consumed his teenage years. As Nina struggles to imbue her students with a love of literature, Collin is pulled further into Arkadia with its playground offices and exacting taskmasters. Meanwhile, sixteen-year-old games-obsessed Aidan has been given a black box which opens up a virtual reality game to him. The Chalk Artist is an absorbing, all too believable read but I preferred Goodman’s previous novel, The Cook Book Collector, which explores similar thematic territory. I had a similar reaction to Jennifer Egan’s first historical novel Manhattan Beach to which I had been looking forward very much having enjoyed A Visit from the Goon Squad. Beginning in the Great Depression, it tells the story of Anna Kerrigan, who has learned to fend for herself after the disappearance of her beloved father, and Dexter Styles who may be able to tell her what has happened to him. Anna is assigned to work in the shipyards during the Second World War but manages to argue, cajole and doggedly train her way onto the all-male diving programme while still trying to find answers to the mystery of her father’s disappearance. It’s an accomplished, enjoyable piece of fiction but all stitched in a little too neatly for me – to say more on that would be to give too much away. I’m hoping Claire Messud’s The Burning Girl won’t continue the disappointment trend after the excellent The Woman Upstairs. Her new novel looks at female friendship through two women who have been friends since nursery school but whose paths diverge leaving one of them feeling cast aside. ‘Disturbed, angry and desperate for answers, she sets out on a journey that will put her own life in danger, and shatter her oldest friendship. Compact, compelling, and ferociously sad, The Burning Girl is at once a story about childhood, friendship and community, and a complex examination of the stories we tell ourselves about childhood and friendship’ say the publishers which sounds right up my street. I’m ending this selection with Jamie Ford’s Love and Other Consolation Prizes which I’m not at all sure about largely because of the cover which looks somewhat soapy to me but I like the sound of the premise. At the 1909 Seattle World’s Fair Ernest, a half-Chinese boy, is raffled off as a prize and ends up working in a brothel where he falls in love with the daughter of its madam. In 1962, on the eve of the new World’s Fair, Ernest looks back at his past while his daughter attempts to unravel her family’s story. Quite an eye-catching synopsis but it I’m still not convinced by that jacket. This entry was posted in Random thoughts, Reviews and tagged Allegra Goodman, Catherine Lacey, Claire Messud, Jamie Ford, Jennifer Egan, Love and Other Consolation Prizes, Manhattan Beach, Megan Hunter, Paperbacks published in May 2018, The Answers, The Burning Girl, The Chalk Artist, The End We Start From on 23 April 2018 by Susan Osborne. January gets off to a stonking start with enough paperbacks to keep you oblivious to the dismal British winter. 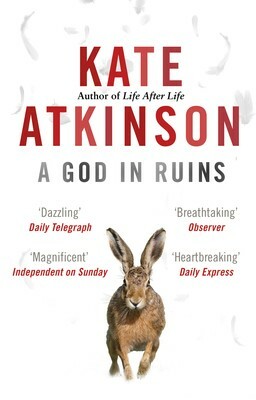 Pride of place has to go to Kate Atkinson’s fabulous A God in Ruins. By now, anyone who’s interested knows that this is the story of Teddy, brother of Ursula Todd whose many lives were lived in Life After Life. In her author’s note Atkinson says she likes ‘to think of it as a “companion” piece rather than a sequel’ and indeed that’s how it reads. I can’t speak highly enough of this novel. Just as with Life after Life, it’s an absolute mystery to me as to why Atkinson hasn’t swept the literary prize board with these two strikingly original books. Another novel I would have liked to see at least longlisted for the Baileys, if nothing else, is Lucy Wood’s debut, Weathering. Ada and six-year-old Pepper are renovating her estranged mother’s cottage after she drowned. As Ada sets about putting distance between herself and the rest of the village Pepper becomes fascinated by her grandmother and her new surroundings. Put like that, Weathering sounds like a fairly prosaic tale but what singles it out is the vivid word pictures Wood sketches, often poetic but sometimes pithy and very funny. One of my favourite books of 2015. One book that did make it on to a shortlist is Sean Michael’s Us Conductors which was already up for the Giller Prize when it was published here in the UK. It’s about, Leon Theremin, a Russian inventor born in 1896, and if that name seems familiar you may have come across the musical instrument he devised. Once heard its strange haunting sound is hard to forget. The bare bones of the novel are based on Theremin’s life but as Michaels is careful to point out at the very beginning ‘This book is mostly inventions’, a nice little pun on Leon’s activities which gives you a flavour of Michaels’ writing. Those inventions are spun out into an absorbing story, beautifully told. 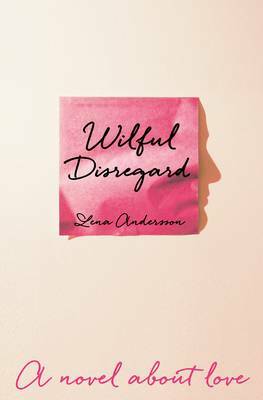 I’m particularly eager to read the first of the three novels I haven’t reviewed: Lena Andersson’s Wilful Disregard. It’s about a coup de foudre that strikes Ester Nilsson when she meets artist Hugo Rask. She turns her back on her settled life, heedless of what anyone else says or thinks about her uncharacteristic behaviour. ‘A story of the heart written with bracing intellectual vigour’ says Alice Sebold. That title sounds particularly promising, I think. Elyria in Catherine Lacey’s Nobody is Ever Missing seems to show a similar disregard when she abruptly leaves Manhattan on a one-way flight to New Zealand abandoning her career and loving husband. Elyria hitchhikes her way around the country, regardless of the risk. ‘Full of mordant humour and uncanny insights, Nobody Is Ever Missing is a startling tale of love, loss, and the dangers encountered in the search for self-knowledge’ say the publishers. Sounds well worth investigating. 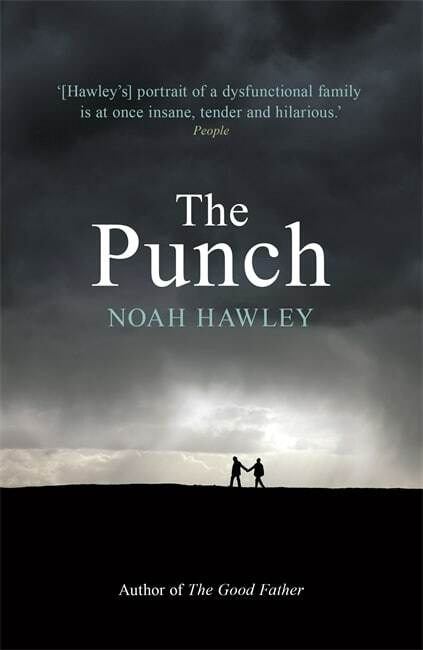 This first selection ends with Noah Hawley’s The Punch. Scott spends his time in seedy San Francisco joints when not at his dull job while David is a successful salesman with two families, one on each coast. These two are brought together when their father dies and their mother lets out a long-held secret as they travel across the country to New York. I like the idea of an American road trip and deep dark secrets are always a winner if well-handled. We’ll see. That’s it for the first batch. If you’d like a fuller synopsis a click on a link will take you to my reviews for the first three titles and to Waterstones website for the others. And if you’d like to catch up with January hardbacks, they’re here and here. More shortly. This entry was posted in Random thoughts, Reviews and tagged A God in Ruins, Catherine Lacey, Kate Atkinson, Lena Andersson, Life After Life, Lucy Wood, Noah Hawley, Nobody is Ever Missing, Paperbacks published in January 2016, Sarah Death, Sean Michaels, The Punch, Us Conductors, Weathering, Wilful Disregard on 21 December 2015 by Susan Osborne.